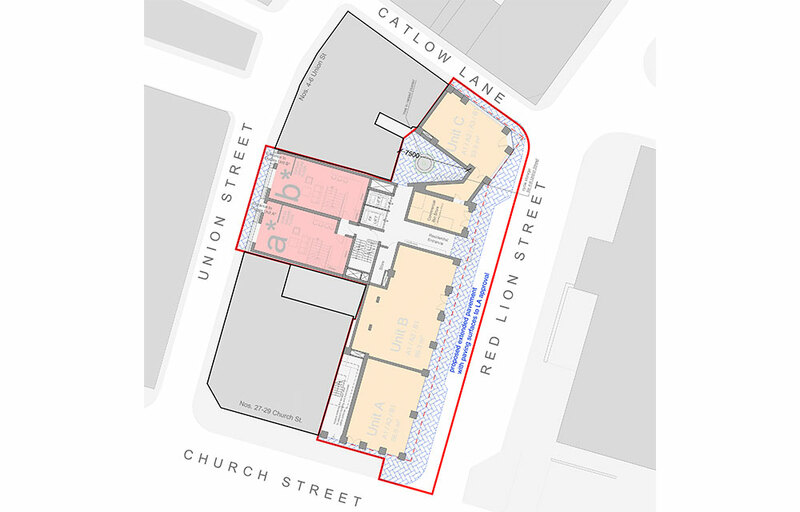 A complex and tight site in the heart of Manchester’s Northern Quarter, the Conservation Area status entails an element of façade retention of the historic former Bull’s Head Pub. 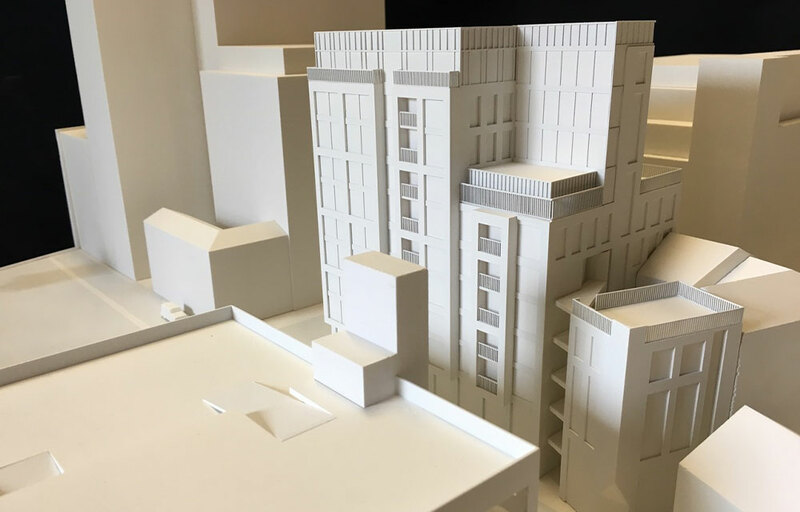 This scheme comprises part 11, part 7 and part 5 storey accommodation, stepping down on one end acknowledging the smaller scale of Thomas and Turner Street. 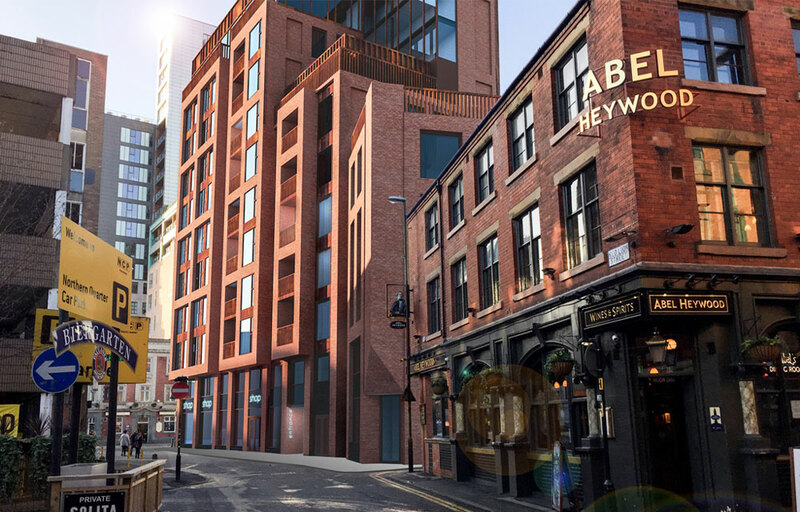 The scheme provides 38 apartments over street level ‘boutique’ commercial units – synonymous with the Northern Quarter – and appropriate for independent retailers. Due to its superb central location, the design and quality of materials are to be of a very high standard, which when completed will be a landmark building for the City. 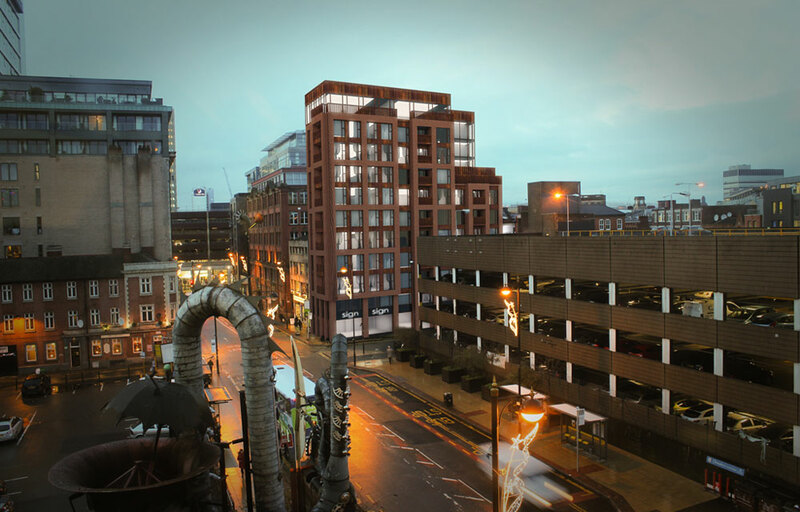 Key Features of the scheme include: Good sized apartments, designed in accordance with the Draft Manchester Residential Quality Guidance, each with its own inset balcony or Juliette. Sensitive and contextually appropriate design response. Prime location for City Centre living and excellent retail location. It is to be a landmark building within the Northern Quarter once completed. The design of this building results from a long process of negotiation with the Local Authorities and input from a wide and comprehensive Consultant Team. The design intent was to create a high quality building, which responded acutely to its context. The subsequent design was in response to the specifics of the keyhole site and the Victorian Urban Grain. 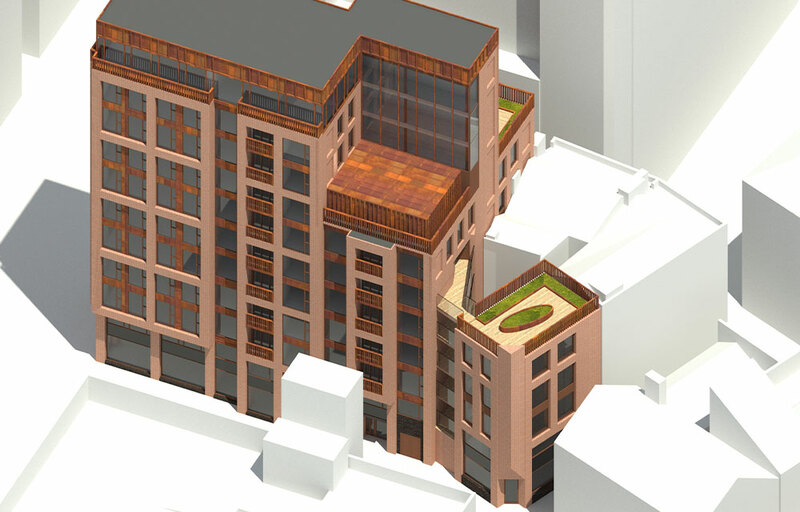 We designed different levels to respond to the heights of the surrounding buildings and it was detailed materially to fit – for example the brick selected matched a Victorian style. The scheme is contemporary in its design, but follows the Victorian proportions of the adjacent street. 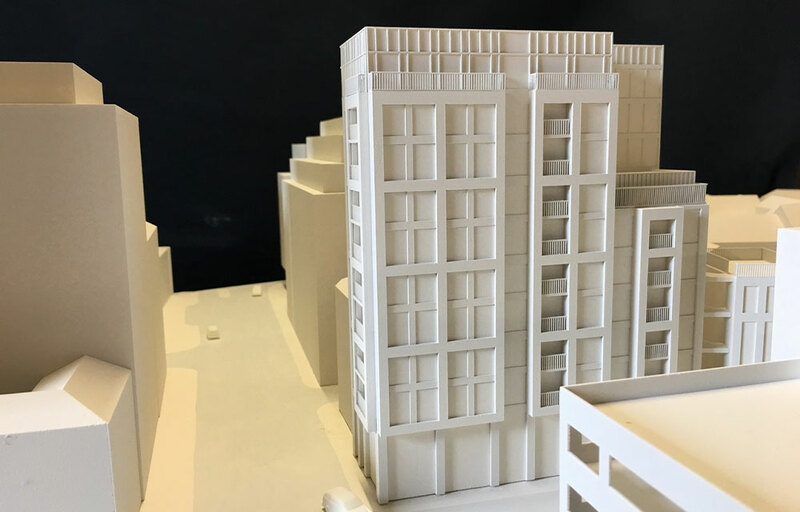 It was also designed with the end-user in mind, natural well-lit apartments with balconies and access to communal roof terraces. The Planning process took almost nine months up until Submission. It involved co-ordination of a huge Consultant Team, which is typical of a project in this sort of location and of this size. Other professions included were: heritage, structures, services, transport, environmental sustainability, acoustic, microclimate / wind, ground conditions, archaeology, ecology, police and television reception consultants.